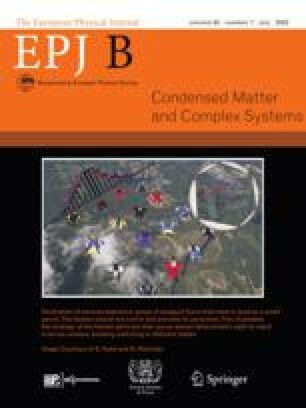 In the past decade, it has been shown through both theoretical and practical studies of permutation entropies that complexity of time series can be captured by order relations between numerical values. 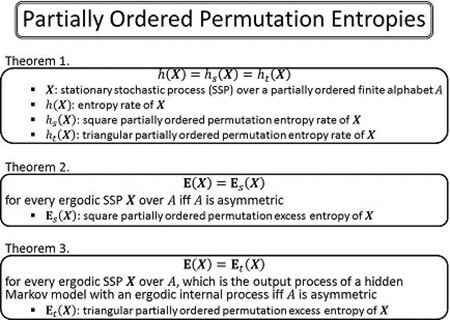 In this paper, we investigate a generalisation of permutation entropies in terms of the order structure for further understanding of their nature. To calculate conventional permutation entropies of time series, one needs to assume a total order on the alphabet. We generalise this to an arbitrary partial order; that is, the alphabet is assumed to be a partially ordered set, and we introduce partially ordered permutation entropies. The relationship between entropies and their partial-order analogues for discrete-time finite-alphabet stationary stochastic processes is theoretically studied. We will show that the entropy rate and its partial-order analogues are equal without restriction, whereas equalities between excess entropy and partial-order analogues depend on asymmetry of the order structure of the alphabet. As all finite totally ordered sets are asymmetric, our results explain one reason why conventional permutation entropies are so effective.